The main purpose of restaurant marketing is to increase brand exposure and attract new customers to boost revenue. Restaurant marketing can also be used as a way to keep existing customers who may be more inclined to return if they see promotions being marketed. Without these customers, restaurants would be out of business. If you’re a restaurant owner in the U.S., you are one of over 1 million restaurants nationwide. Anyone can tell you that the restaurant industry is crazy competitive. However, the failure rates for first-year business owners has gone down. According to the U.S. Bureau of Labor Statistics, only 17 percent of independently owned restaurant startups failed in their first year, compared to 19 percent for all other service-providing startups. That being said, it’s best to stay ahead of the competition. One way to do that is by implementing a creative marketing strategy. A good starting plan is to limit any marketing ideas that might devalue your restaurant. Building your business with a strong foundation is key when starting your customer base. 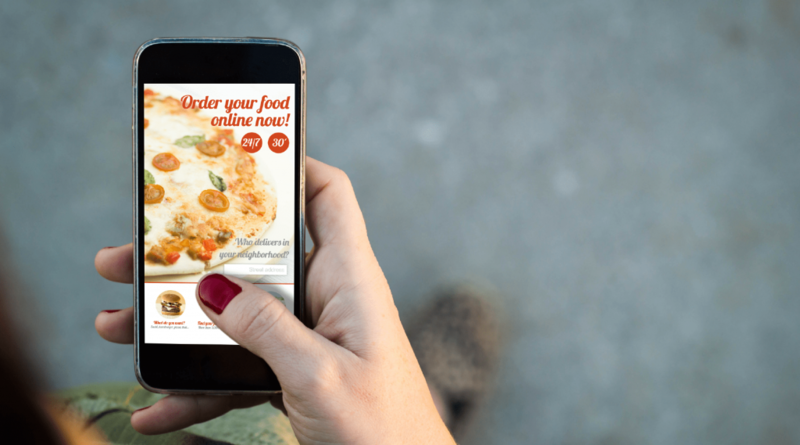 Mobile friendly is a must– An impressive 83% of users look up restaurant information on their phones with 36% wanting to make online reservations. With that being said, your website should look and operate the same way on all devices. Use Google’s mobile-friendly testing tool to test your restaurant’s website. Hire a professional photographer – Find a photographer who specializes in food photography. Professional photos of your menu and interior can add a lot of value to your website and menu. Once you have the images for your website, you can feature those photos on your social media channels or wherever else you seem fit. Don’t upload JPG or PDF versions of your menus – You want your menu to be as searchable as your website. Why? Well, uploading an image for your menu can negatively impact your search engine rank. Google cannot crawl an image, so make sure your menu items have descriptions with keywords that your customer’s search for. Display locations and hours – Including a map on your website help your customers navigate to your restaurant. Make sure this information is easily accessible and clearly defined on your website. An important first step of your marketing strategy should include building your email list as soon as possible. 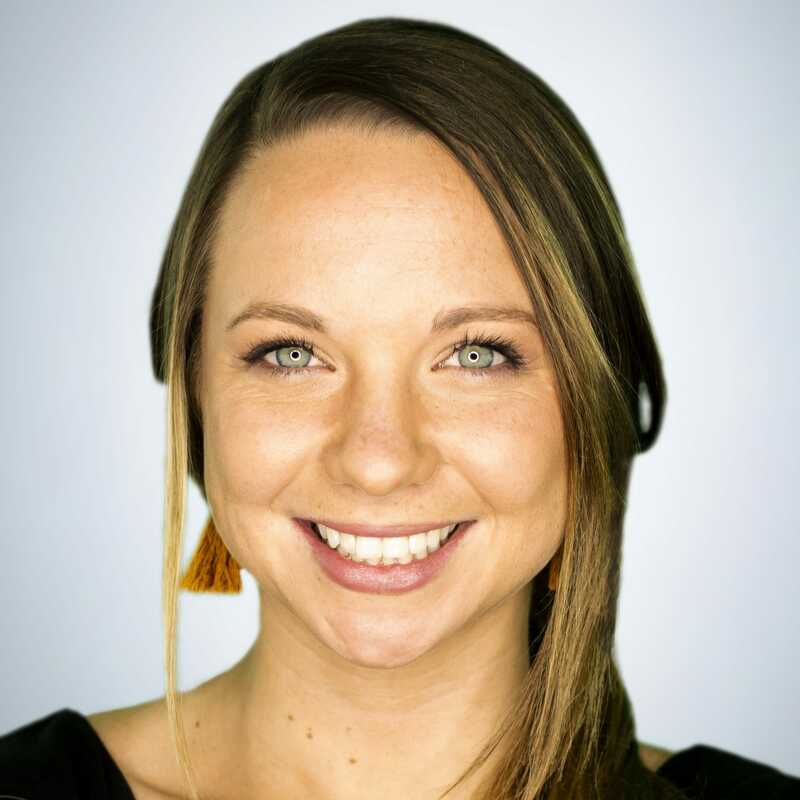 There are a lot of tools out there to help you get started, such as MailChimp, an email service provider that is free for up to 2,000 email subscribers and 12,000 emails per month. How you select your provider will depend on your specific needs. Once you decide on an email service provider, you can create user-friendly email campaigns (no coding required) to promote your restaurant. Segment your list – Your audience isn’t ‘one size fits all’ and the same goes for your restaurant email marketing strategy. It’s important to segment your list so that you can provide the right content to the right people. This means breaking up your audience by demographics, age, gender, food preference, and more. Research from MailChimp shows that segmented campaigns have a 14.13% t higher open rate than non-segmented campaigns. Create creative subject lines – this is one of the most important lines in the entire email. It’s best practice to keep your subject lines to less than 40 characters with about 5 – 7 words to keep it short and straight to the point. Emojis are also great for subject lines. In fact, 56% of marketers who used emojis in their email subject lines had higher open rates. Think of short, witty subject lines to guarantee high open rates. Timing is everything – make sure to send your emails at the right time. Try testing out your emails at different times and on different days and see which day has the highest open rate. This tactic takes a little time, but over the course of a few weeks, you should have a strong indication of when your customers are most likely to open your emails. 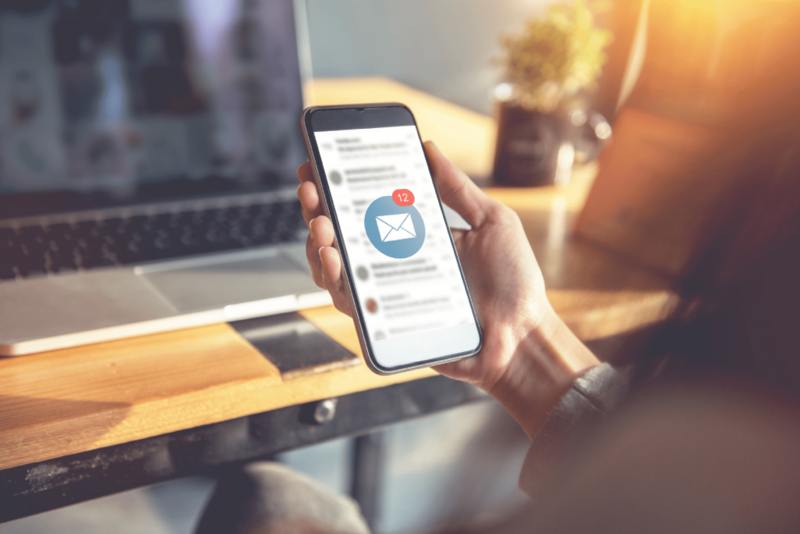 Keep your list fresh – Just as it is important to add to your email list, it’s equally important to remove unengaged subscribers from your list. Hubspot recommends that you try to re-engage those subscribers one last time before removing them. For more information on restaurant email marketing, check out this blog. Implementing a rewards program is essential for restaurants. These programs offer incentives to their customers as a way to market and promote their restaurant. The first step when implementing a restaurant loyalty program is to invest in a point-of-sale (POS) system. Successful loyalty programs are built on customer data, and POS systems are essential in collecting and analyzing that data. Not only will you build a bigger customer base with your loyalty promotion programs, but it’s one of the best ways to encourage repeat customers. Know your target market – The customer experience should always be a priority. Restaurant marketers need to identify their target audience so that data insights can be captured and accurate. Understand use – How are your customers interacting with your restaurant through the program? Are they redeeming their rewards? When you leverage that data, you can then determine what your customers are looking for in loyalty programs to build accurate and consistent incentives. Consider a tiered points system – An example of this is Starbucks program called ‘My Starbucks Reward’. Members earn ‘Stars’ (or points) for every mobile transaction or payment using their Starbucks Card, which they can redeem rewards such as a free bakery item or coffee. The more customers use their Starbucks card, the more and better rewards they can earn. Loyal customers who are in it for the long haul will see this system as very beneficial. Keep in touch often – Sending out emails is not enough. 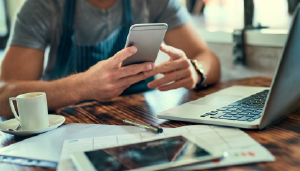 If your restaurant uses an app, make sure your customers get notifications when they can earn more points or updates on any other special deals going on. As of today, reviews have become a crucial part of the success of a restaurant. Out of all industries, consumers read restaurant reviews more than any other industry. 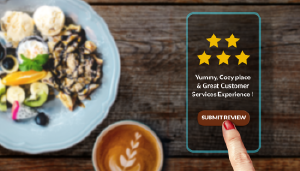 Restaurant owners need to be aware that good reviews can boost accountability and profitability, whereas bad reviews can have the potential of shutting a business down. A study by Harvard found that an increase of just one-star in a Yelp rating can lead to a 9% increase in revenue. Another study found that users don’t even trust a business with less than a 4-star rating. It’s obvious that the more reviews you gather, the busier and more successful your restaurant will be. Yelp – Yelp currently gets up to 71 million unique visitors per month. Imagine having that foot traffic at your door! If you haven’t already, you can visit the business section of the site to claim your store. Read this blog for more information on adding your restaurant to Yelp. OpenTable – This review site is more well known for booking reservations rather than reviews. However, being visible on their app is extremely crucial. Make sure to take advantage of their review and booking features for optimal customer experience. Google – Google, being the world’s biggest search engine, has also become one of the most powerful restaurant discovery engines on the internet. At the end of 2010, Google started adding review stars to its localized searches. According to ReviewTrackers’ 2018 Online Reviews Survey, 63.6 percent of consumers say they are likely to check reviews on Google before visiting a business, with Yelp following up in second place. The Infatuation – For restaurants in major cities around the U.S, this review blog is a must. This blog has reviews for every restaurant including an interactive map. New Yorker’s love this review site for unbiased, trustworthy ratings. The blogger or influencer community has grown tremendously in recent years. These food bloggers can have a lot of followers which can also an have a huge influence on your restaurant. Even just one review or mention from a popular foodie-blogger can be huge for your restaurant marketing efforts. They can recommend your restaurant on their blog; exposing your restaurant to a whole new audience. In fact, a study by Hubspot found that 71% of consumers are more likely to make purchases based on social media referrals. 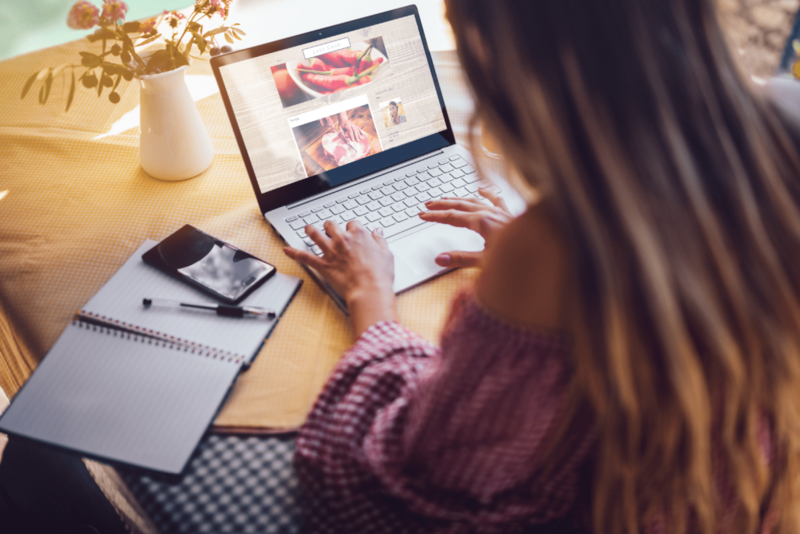 Not only do influencers spread the news about your delicious menu throughout their networks, but they can also create content that you can reuse for other marketing strategies. Go local – find influencers based off of your location. Social media can be accessed from anywhere, but at the end of the day, you’re looking to drive foot traffic. Sponsored posts – this is a highly effective way to market your restaurant. Collaborating on a social media post or blog post is a great way to tap into the blogger’s engaged followers. Reviews – Asking for reviews to post on your website from well-known influencers builds trust in your brand. You can even ask for reviews on restaurant rating apps like Yelp or Zagat. Organize a contest – Giveaways are normal on social media, so why not organize one! Give the influencers free coupons to raffle off to their audience; creating buzz and interest about your restaurant. Want more tips on how to get your restaurant started with social media influencers? Check out this blog. Some would argue that the very best way to promote your restaurant online is with high-quality, Instagram-worthy photos. Social media platforms can be a powerful tool for restaurants to use to connect with customers using those high-quality pictures. The popularity of Instagram hashtags like #foodporn or #foodie make it clear that people love food pictures as much as they love sharing them. These photos will draw in hungry eyes and get customers interested in your restaurant. Restaurant owners are leveraging Instagram’s platform to become more Instagram-worthy and visible. Setting up an Instagram account for your restaurant not only allows you to share trendy food pictures and enticing images of your restaurant, but creates a space to interact with customers before and after they leave your establishment. In fact, research has found that 18-35-year-olds spend five whole days a year browsing food images on Instagram, and 30 percent would avoid a restaurant if their Instagram presence was weak. Include your customers – capturing images of your customers enjoying their food at your restaurant is a great way to promote your restaurant. They may even regram your post if they follow you; meaning free promotion for your restaurant. Integrate Instagram with all of your other social media accounts – even if a user doesn’t follow you on Instagram, they still might follow you on Facebook or Twitter. Share photos on all of your networks to increase visibility and gain followers. Optimize photo quality – there’s a certain expectation for near-professional-quality photos on Instagram. Make sure to only post photos with high quality, making sure not to go overboard with filters. Use Instagram ads – Paid social advertising a great way to reach more of your target audience. One notable feature of Instagram ads is that it allows for geo-targeting. This means that your ads will be relevant to your target audience (such as people in your area). Hashtags matter – Strategically using hashtags also help you extend reach. If your restaurant is at an event, use the event hashtag on your Instagram post. Many local users browse local hashtags to seek out new places to eat. Want to boost staff morale, attract new customers, and support a good cause? Getting your restaurant involved in your community can do all of that. It is also a good idea to form relationships with other local businesses when doing volunteer or charity work. People feel good eating somewhere they have an emotional investment. Franchisees can also be active participants, and reap the benefits of community involvement. Become a member of your local chamber of commerce – The chamber of commerce can help connect you with local schools, city leadership, and other local business owners. Participate in local events – make sure to check your city’s event calendar, seeking out any events you can attend and set up shop; such as food fairs, festivals, and any other charity events. Give back – hosting your own charity event is another way to promote your restaurant and give back to the community. 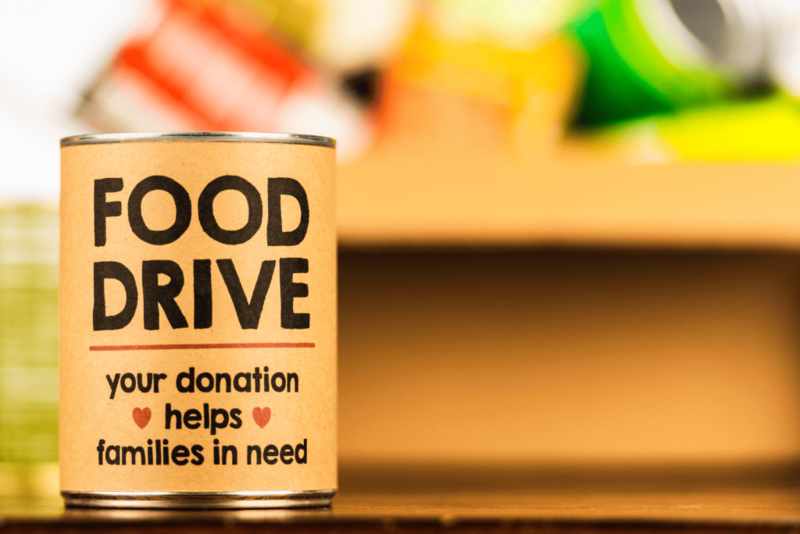 If you don’t have the budget to host your own event, having a food drive set up at your restaurant is another option. Collect cans, donations, or whatever the charity organization needs. Donate unused food – Instead of wasting food, why not donate leftovers to charities? There are plenty of programs out there, such as Feeding America that will get your unused food into the hand of those in need. If your restaurant doesn’t already offer delivery services, it’s time to start looking at the benefits. Whether you run a fast food franchise or a fine dining restaurant, partnering with a delivery service can help promote your restaurant. Not only is this trend here to stay but it’s growing. Investment banking firm Cowen & Co. predicts the U.S. food delivery market will grow from $43 billion to $76 billion by 2022. With customers craving for convenience, you have the potential to grow brand awareness and revenue by partnering with a third-party delivery service. Uber Eats – Recently, Uber launched their in-app food delivery service that prides itself on a rapid delivery time. As is the case with Uber, the drivers who deliver your food are independent. 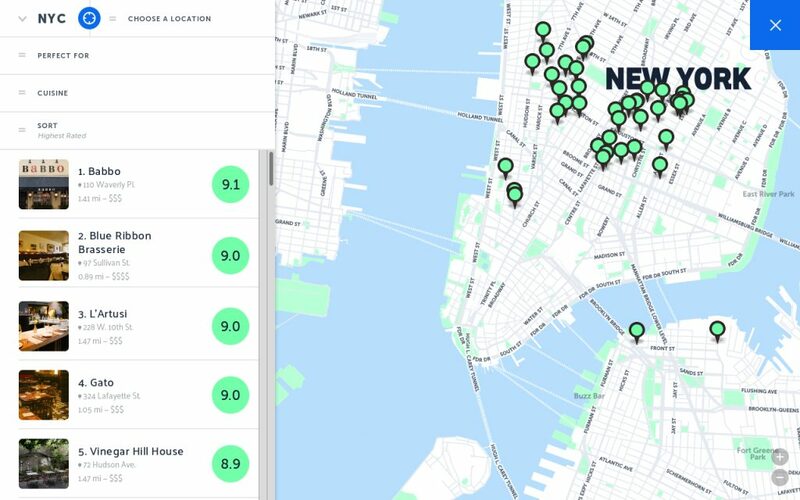 UberEats offers features like the Restaurant Dashboard, which runs on a tablet inside the restaurant, and the Restaurant Manager, a web-based tool for owners and managers to see analytics including dish popularity and performance over time. Postmates – Postmates delivers food, electronics, clothing, and even alcohol. Through their Partner program, Postmates takes a 10-20% cut on food sales while reducing delivery fees. DoorDash – The big difference between DoorDash and other delivery services is how they interact with restaurants. Not only does DoorDash offer a means to expand the customer base, it also serves as an online marketing platform. As part of their business model, DoorDash gets paid by the restaurants to feature their menus and promote their food. GrubHub – Grubhub calls itself the “nation’s leading online and mobile food ordering company”. Most of the restaurants that use GrubHub have their own crew to handle deliveries. GrubHub exists more as a compiler of restaurants for users and a portal for restaurants. Oddle – Oddle offers an online food ordering system that enables restaurants to manage delivery and takeout orders. This startup empowers restaurant owners with a smart online ordering system. In today’s competitive environment, traditional advertising is not enough. If you want to succeed in the restaurant industry, word of mouth will no longer cut it. Getting creative with your marketing and incorporating digital marketing can set you aside from the rest of the competition. Keeping up with the latest industry and consumer trends should also be a priority for your marketing strategy. Check out this free eBook by Oddle that dives into the latest trends and statistics that restaurant owners need to be aware of. While scheduling is something that every restaurant does, those that follow best practices are much more likely to profit from it than those that ignore it. It takes a dedicated effort to ensure that your scheduling practices are top-notch, but the benefits to your bottom line are well worth the effort. Your business’ success is directly dependent on how you manage your employees. 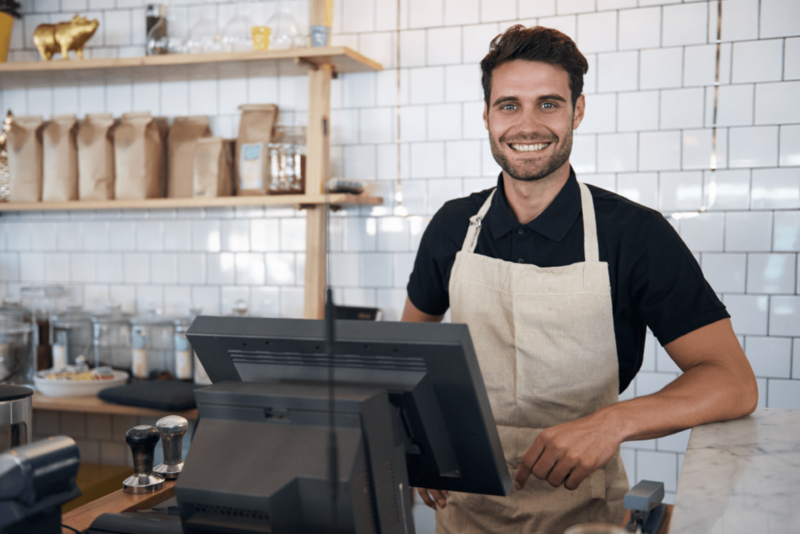 With the right employee scheduling software in place, restaurant owners can automate the entire scheduling process and have instant visibility of their business, all from their mobile devices.